Tales of an Urban Indian Season Opens in Previews on July 9th. Our performances begin in previews on July 9th and 10th. The show will run up to 8 performances a week until August 10th. New performances have been added to the schedule from June 30th to August 10th. Matinees run Wednesday, Friday, Saturday and Sunday at 2 p.m. and evening performances start at 7:30 p.m. on Wednesday, Thursday, Friday and Saturday. Each performance runs without intermission and lasts for approximately 1 hour and 20 minutes. You’ll board the bus in front of our theater, the bus will pull away and begin its route. It stops at the bus stop an picks up our actor who begins to tell you, his fellow passengers his story. At the end of the show, you’ll be returned to the theater in historic Downtown Hannibal. Bluff City Theater is proud to be presenting this exclusive engagement of Tales of an Urban Indian, starring Darrell Dennis as our inaugural production. Tales is funny, poignant and emotional, presented in a way you will never forget. When initially staged on a moving bus in 2009, Tales of an Urban Indian became a smash hit and ran for 70 performances. Now, Bluff City Theater launches its inaugural season in Historic Hannibal with an exclusive run in the summer of 2014. The story is a semi-autobiographical tale about Simon Douglas, a kid growing up. Raised both on the reserve and in the city of Vancouver, Canada, the play follows the trials and tribulations of Simon as he comes to terms with his life between two cultures. Told entirely from a personal perspective, Tales of an Urban Indian presents an array of characters that come in and out of Simon’s life as seen through his eyes- Simon’s friends on the reserve, his mother, grandmother, girlfriends and every other character are portrayed through Simon’s mimicry. Tales of an Urban Indian is an intimate, moving and uplifiting experience that leaves audiences spellbound. 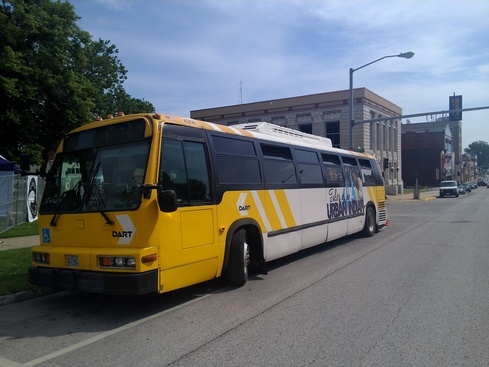 Performed entirely on a moving transit bus as it travels throughout Hannibal, you will quickly forget where you are as you are drawn into Simon’s story. For over two decades, Darrell has been at the forefront of Native theater. His one man show “Tales of an Urban Indian” was nominated for two Dora Awards (Best Original Play and Best Performance by an actor). Darrell’s feature film adaptation of “Tales” was one of 13 international screenplays to be work-shopped at the prestigious Sundance Screenwriters Lab. A television pilot based on “Tales” was also produced and broadcast on the Aboriginal People’s Television Network. Darrell recently gave a special performance of “Tales” at the legendary Public Theater in New York City. 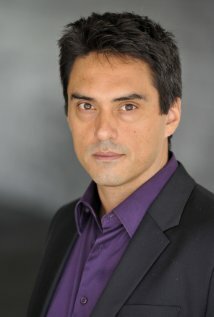 As an actor, Darrell has gone from classic theatre productions like Shaw’s “Arms and the Man”, Strindberg’s “Miss Julie”, and Pinter’s “Deceived”, to film and television roles like “Leaving Normal” opposite Meg Tilly and Christine Lahti; to the hit TV series “Neon Rider”; and Shania Twain’s slick and wealthy lover in “Shania: A life in Eight Albums”. However, it wasn’t until Darrell won the lead role of Frank Fencepost on the CBC television series “The Rez” that his comedy career flourished. Darrell received a scholarship to train at the world famous “Second City” and became one of the first Native performers to be hired by the Second City National Touring Company. He then co-founded the highly successful all- Native comedy troupe “Tonto’s Nephews” which toured Canada and the U.S. In addition to acting and comedy, Darrell is a prolific writer. His first play, “Trickster of Third Avenue East,” was produced by Native Earth Performing Arts, which twice named Darrell their “Writer-in- Residence”. On APTN, Darrell joined the writing team of the talk/variety show, “Buffalo Tracks” and went on to host the APTN smash hit “Bingo and a Movie.” Darrell then wrote a half- hour television pilot called “Moccasin Flats” which was an official selection at the 2002 Sundance Film Festival and was picked up by Showcase Television and APTN for three seasons. Darrell was a key writer on this series. At present, Darrell is writing a book for Douglas & Macintyre Publishing to be released in the fall of 2013. Darrell continues to perform stand up in venues all over L.A. and is developing two T.V. series, a T.V. movie, a feature film, a web series, and a U.S. radio program. so book today to avoid disappointment. Call us at 573-719-3226 or buy online. Fantastic! What a moving performance. Please, Hannibal, get behind this treasure and support Bluff City Theater.